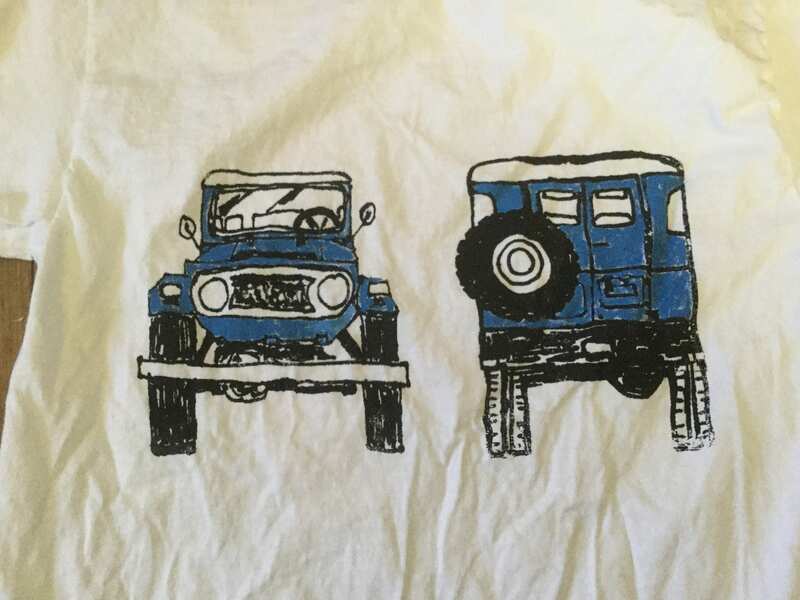 On the front of this shirt is a screenprint of a drawing of an FJ40 front and back. The size is adult, it’s a Gildan 100% Cotton tshirt. 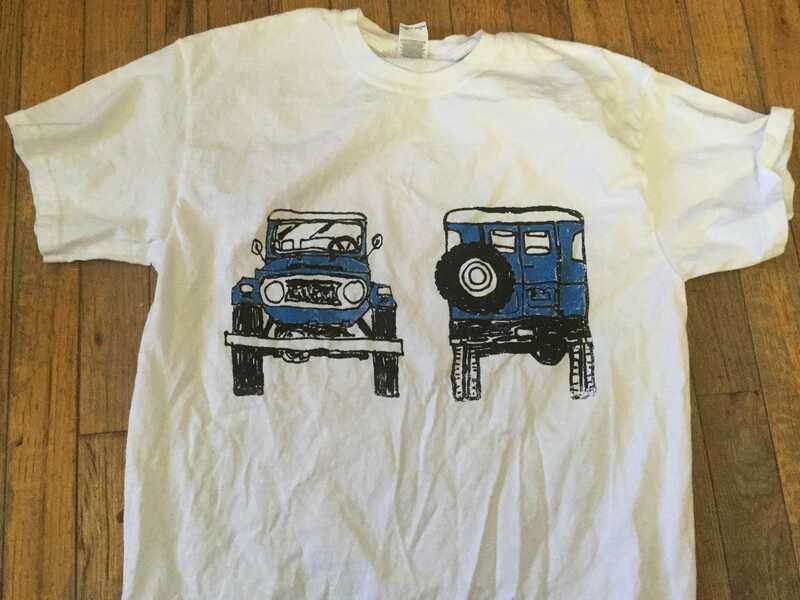 The black is screenprinted, the color and white is hand tinted.